Many of you liked the pompoms in Clover’s nursery. You can easily make them yourself. You can find instructions here on Martha Stewart Living’s website. Thanks Anna for letting me know about the tutorial! They will look very good as decorations for Christmas! Thanks for the link to the instructions! yay thanks for the link. I bought some from a local paper store pulp but they were all out of pink so now I can make some!!! Stunning – thanks for sharing this one, my daughter will be thrilled ! So fun, can’t wait to try this! Now that’s what I’m talking about. 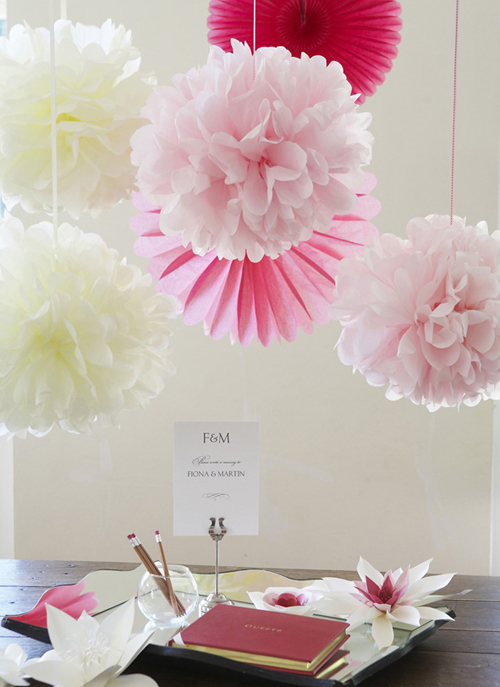 Recently I threw my 9 yr old a birthday party in my house and boy, these paper flowers were everywhere. Love them so much they’re still hanging. I should probably remove them right? it’s been a while. No problems! They are so pretty, great for any party. These are so pretty!!! 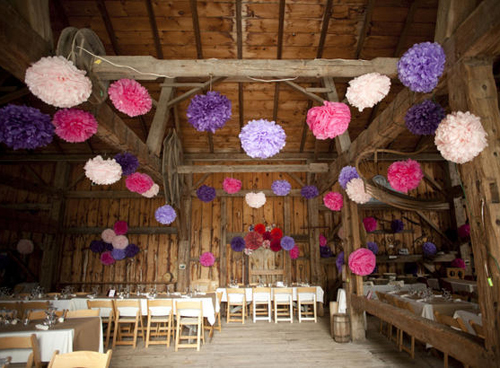 Pom poms just seem to fit almost any occasion (weddings, birthdays, parties, baby showers, etc)!